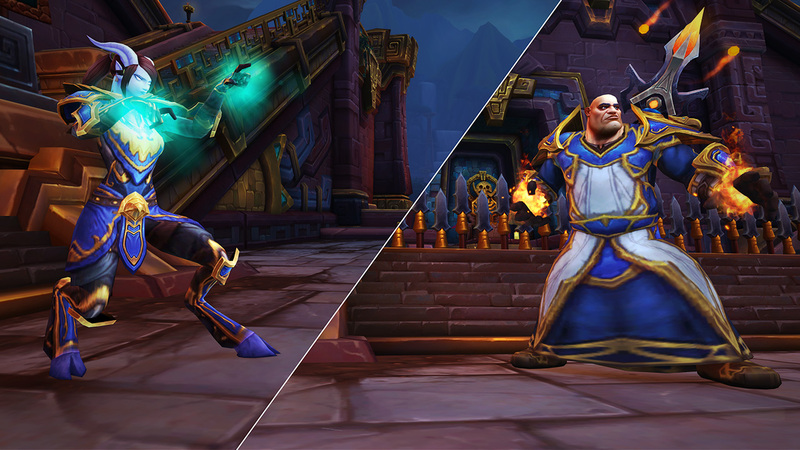 New Battle of Dazar’alor difficulty modes are now available! 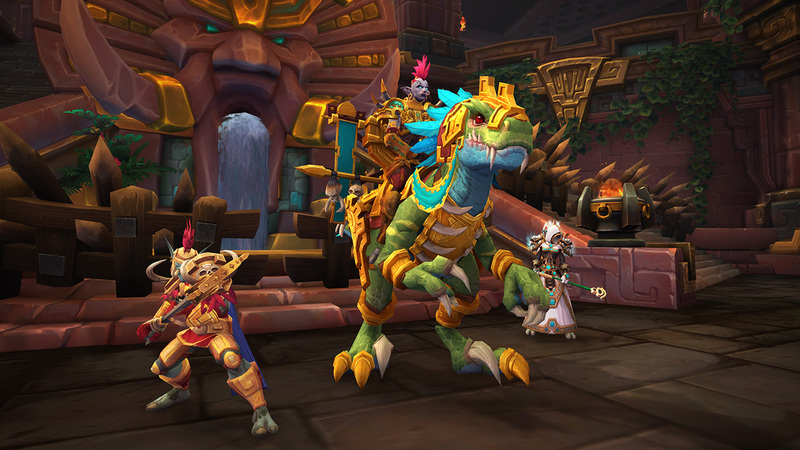 Are you ready to defend the heart of the great and powerful Zandalari empire as the Horde? Or, will you storm the harbor as the Alliance in a bid to sever the bond between the Horde and their new allies? The path you choose is your own. Gather up your guild and prepare for the ultimate challenge in Battle of Dazar’alor Mythic difficulty. 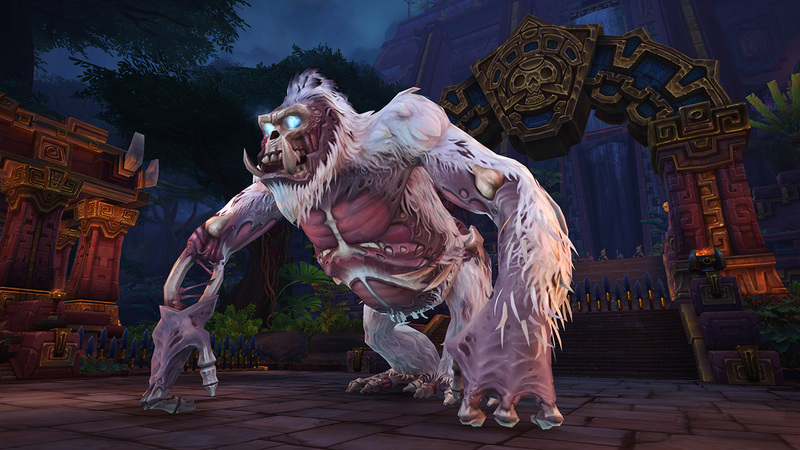 The Mythic version of the latest raid offers more powerful rewards, along with a chance to earn the title Hero of Dazar’alor; a new pet, the Spawn of Krag’wa; and the Glacial Tidestorm mount. Who will be the first to make their way through the trials before them? 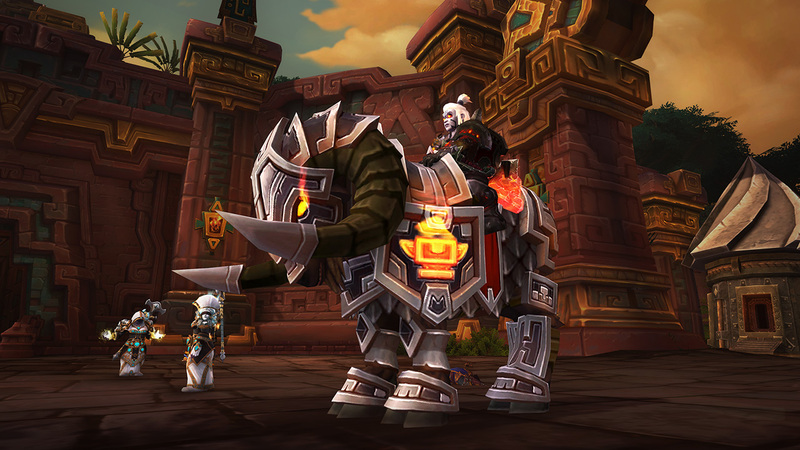 Keep an eye on the top-rated guilds’ progress on the Mythic Raid Leaderboards. Raid Finder Wing 1 is now open to players who have reached level 120 and have a minimum item level of 350. To queue for this new adventure, simply join through Group Finder (I) as either a healer, tank, or damage dealer. Learn more about each of the bosses in this wing through the Adventure Guide (Shift-J) in the Raids tab. Horde players will begin the raid by defending against an invasion in the northern jungle of Zuldazar in the Defense of Dazar’alor. The city faces a cowardly Alliance attack, and the Horde’s brave champions are the only ones who can break the siege. As vanguard for the Alliance’s assault on Dazar’alor, Frida Ironbellows leads her troops with fervor and conviction. Her battle prowess and unwavering faith in the Light make her a force to be reckoned with. After volunteering to become a living superweapon, the once intelligent Grong devolved into a giant rampaging behemoth. But though his mind may have deteriorated, Grong’s strength is more immense than it has ever been. Though they began training together only recently, Manceroy and Mestrah have perfected their teamwork and now present a united front. 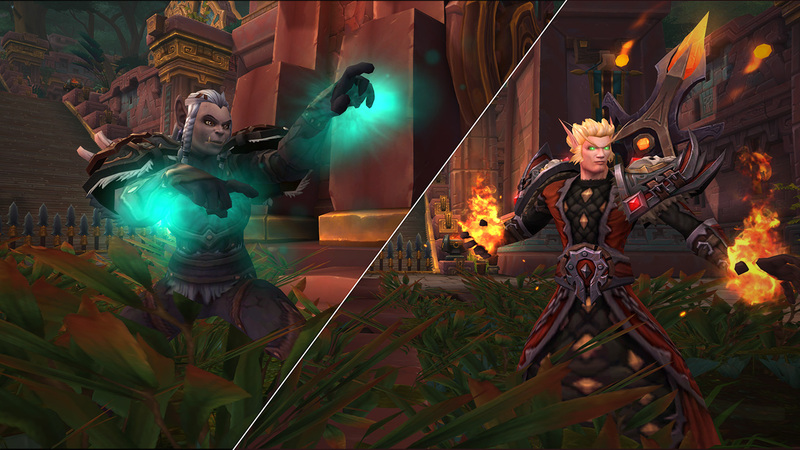 With both fire and fists, they stand ready to strike down any who challenge the Alliance. 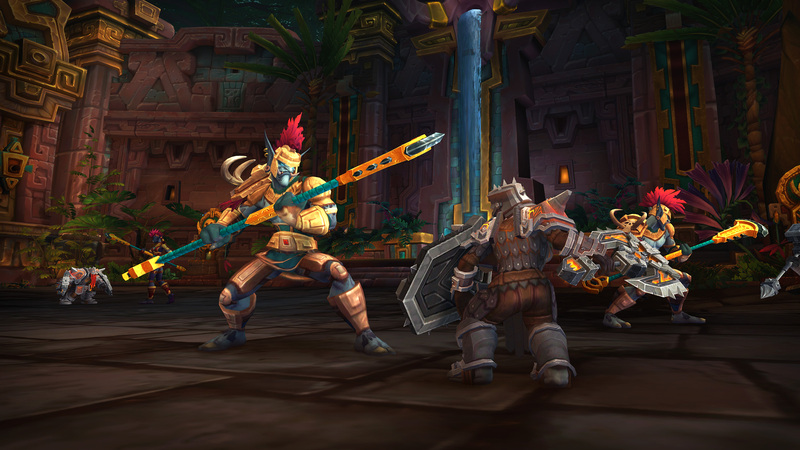 The Alliance is set to stage an attack on the heart of the Zandalari empire in a bid to sever the ties of the Zandalari and the Horde. They’ll begin with a naval strike on the docks of Dazar’alor in the Siege of Dazar’alor. With the bulk of Rastakhan's forces lured into Nazmir, the time has come to storm the city. Ra’wani and her troops are the first line of defense against the Alliance, sworn to lay down their lives for their city. Standing together, they empower and heal each other while fending off the incoming invaders. To the untrained eye, Ma’ra Grimfang and Anathos Firecaller may seem like a mismatched pair. The truth, however, is that their coordination is second to none. Their combined assault is powerful enough to level the most formidable foes. 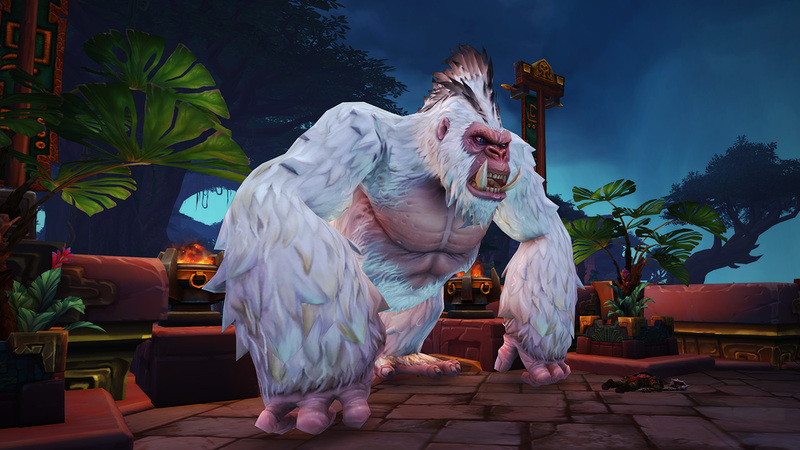 Once willing to sacrifice everything to serve the Alliance, the mighty Grong has been raised from the dead and pitted against his former friends. Fighting on behalf of the Horde would be anathema to this noble soul, whose only hope for release is a clean death. View the complete Battle of Dazar’alor raid preview and unlock schedule here.